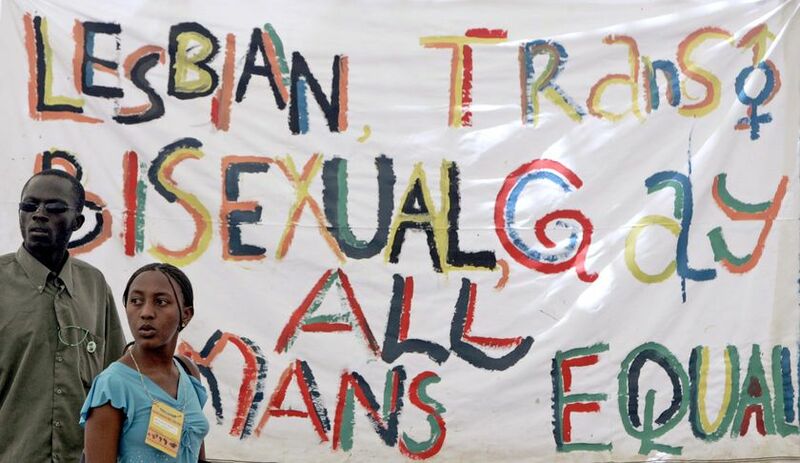 There has been a big uproar about the “Anti-Homosexuality Bill 2009” recently that they are trying to prosecute Ugandans for practicing Homesexuality. Life imprisonment and death are said to be the consequences for being gay. The likelyhood of this bill being passed after the 2011 Elections is at a high stake. According to the Huffington Post nearly 95% of the population of Uganda are religious leaving me to believe that homosexuality is not of acceptance. After reading many articles on the gay rights in Uganda my heart becomes weak to know that in worst cases homosexuality is not accepted worldwide. In America, people are ridiculed, beaten, and stunned from their life everyday but to have a bill passed that will prosecute people because of their sexual orientation is very unmoral. As an heterosexual/straight woman I do not know if I could relate to anyone that is gay, lesbian, or transgender, but I know that when it comes to Human Rights, Homosexuality, should be a right that is given to you and you should not have to fight for something about yourself that you have no control over. Say a Prayer for Uganda. I think prayer and religion is the problem in Uganda. Without religion, these poor minorities would not have become scapegoats for Uganda’s social ills. It is the Christian religion which has promoted this disgusting discrimination and excused it.